Deputy Hansen was killed in a traffic crash on Highway 6, approximately 25 miles west of Green River. Shortly before 7:00 a.m., the 26-year-old victim was finishing a graveyard shift when he crossed the centerline of the highway and collided head-on with a semi-truck. The driver of the truck was not injured. 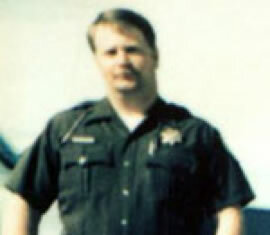 Deputy Hansen was killed instantly. Survived by his wife and two children, Deputy Hansen is buried in Huntington City Cemetery. His bronze name plaque is sponsored by the Emery County Sheriff’s Office Deputies Care Fund.